Year after year, the world of social media continues to evolve. And each year I take the time to evaluate what social media channels are proving effective for business, and what we as marketers can expect in the coming 12 months. It would be rude of me to keep my findings to myself, so here is a rundown of my thoughts. From the increasing popularity of messenger to the necessity of setting up events for friends, Facebook continues to be at the center of today’s culture. With the start of the new year, you’ll notice some of your friends vowing to deactivate their accounts, which I think can be great for one’s mental health, however you’ll find many of them returning. Why? Because Facebook is life. Arguably, it’s become the tool we communicate most with. This is good news for marketers — it continues to prove that all this time you’ve spent studying Facebook can still pay your company dividends into the new year. Facebook has an incredible ad platform and I believe every brand should leverage it in some capacity. 1. Targeting. It’s still one of the most effective platforms to reach exactly who you want. The cost of your reach might be declining as demand for ad placement is increasing, but that shouldn’t worry you if you’re constantly improving the quality of your content. Facebook continues to expand targeting options so be sure to explore what might benefit you to better narrow your audience in 2018. 2. Placement. Facebook offers a variety of ways to deliver your ads such as news feeds, audience networks and Instagram. Be aware of this because the way your ad is delivered can affect your results. By default, your ad will go to Instagram and engagement is typically much higher, but if your campaign is focused on Facebook, that engagement doesn’t help you as much. 3. Video. Facebook has rolled out a lot of new video options for ads. 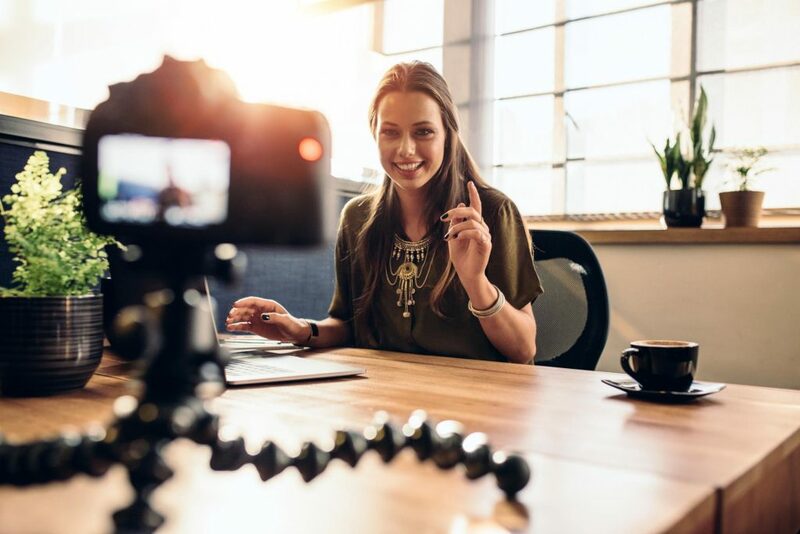 Take full advantage of this as a good video can get you better attention than still images can, and can vastly increase your credibility. Instagram is the new cool (again). Snapchat’s stories feature changed the game. It introduced a new dynamic to online communication, but it’s no longer just a Snapchat feature. At the end of 2016, Instagram rolled out a competing feature and it’s been hurting Snapchat’s momentum. Stories has become the most popular feature used on Instagram. Your previous strategy for building your brand on Instagram might be doing well, but if you have not included a way to use the stories feature, I highly recommend you do so as soon as you can. The feature has become so popular, Facebook has even rolled it out on messenger and the main Facebook app (it’s the small circles that appear above your news feed). I’ve also heard YouTube is currently testing a similar feature, which is not surprising. 1. Don’t overthink it. Story content lasts only 24 hours, so become less of a perfectionist, test different approaches, moods, styles, and try something new. 2. Create for the viewer. Instagram has always been a place to showcase your artistic side and I believe that still holds true. Use stories in an artistic nature and you can do well. And remember, most people are watching with the sound off and are expecting your stories to be interesting in less than six seconds. 3. Ads. Instagram ads for stories can be great calls to action. It’s one of the few ad products available that takes over a viewer’s full screen, so use that attention to your benefit. As I mentioned, Snapchat has lost its momentum. They rolled out some neat features this past year, but haven’t evolved much to stay ahead of Instagram. They haven’t disappeared entirely, but the kids are spending more time on Instagram. I would not recommend including Snapchat in your social strategy unless your target market includes teenagers or you’ve already had some success with Snapchat. YouTube is still the second most popular search engine, so it’s a great place to get discovered. Make some how-to videos — if you have a unique and quality instructional video, it should drive new traffic your way. And experiment with different video aspects! With YouTube’s recent redesign, you’ll see more vertical and square videos coming this year. Twitter is still in the game. Twitter is still my preferred social network because it’s a pure social network. It’s normal on Twitter to have productive conversations with strangers for both personal and business reasons. Twitter is losing popularity, but if you understand how to use their search feature, you can still successfully build relationships as I have over the years. Or as I discovered last month from my personal account, jumping into discussions (and utilizing hashtags) around current events can make you go viral. LinkedIn is still the professional network, and not much has changed with the dynamic of how to use it successfully. It’s a great place to make B2B connections with the people you’re wanting to reach. Use the messaging feature to start genuine conversations, as spam is rampant on LinkedIn so it can be easy to stand out with a real conversation. They also incorporated native video (finally!) in the newsfeed so take advantage of that. People are on Pinterest for ideas, so if you’ve got great ideas then share them! If you have a consumer product that’s available online, you need to be on this social network. People using Pinterest are in a buying mood, and it’s the perfect place to capture new customers. Pinterest also has a great ad platform that I think is undervalued even for local advertising, so check that out too. Reddit is for the nerds. If you didn’t already see my infamous net neutrality Christmas sweater, I made #1 spot on Reddit’s front page last month! As far as using the platform for marketing, I wouldn’t recommend spending much time here unless you’re looking for inspiration or conducting research. The attention I got for my viral post didn’t directly translate to any actual business for me or our clients. We all like to speculate what’s going to be the next big social network, but it’s hard to see anyone else emerging as a major player anytime soon. 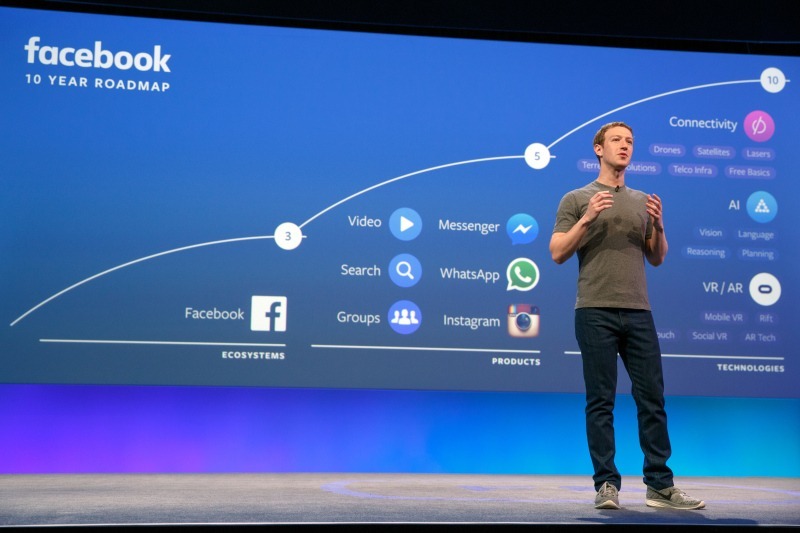 Zuckerburg has been doing an incredible job at keeping Facebook and Instagram relevant. It’s possible a brand new social network might emerge as a major player this year, but I don’t see the landscape changing anytime soon.